In your presentation you claim to “know me personally, and to have had many conversations with me.” Other than our UVU debate (wherein we did not speak in person in any substantive way), and a few email exchanges, can you please list for me/us the dates/times/locations where you and I have had any meaningful discussions face to face – in a personal way? I remember saying “Hello” to you at a few conferences, I remember a few email exchanges, but I do not ever recall a lunch, or a meeting, or any appointment of any kind that would provide you with enough justification for claiming to know me “personally.” Please share. Otherwise, your claims to “know me personally” come off to me as deceptive…and manipulative….and disingenuous — as if you were trying to mislead your audiences into thinking that you knew/know me better than you really did/do. FWIW, if you knew me personally, you would never had made the statement that I “have long believed that there is no God.” Just ask those who know me…personally. Perhaps my faith in God has wavered/fluctuated at times — perhaps I lost a belief in an anthropomorphic God — perhaps I admit that I do not “know” there is a God — but to this day I maintain hope that there is a God and/or an afterlife…even though I have made peace with the possibility that there is no God or afterlife. This has been my position on God for many, many years. Regardless, what type of person runs around the world smearing people because of their occasional doubts, while conveniently and intentionally ignoring evidence of their professed belief? Shouldn’t such disingenuous smears simply be off the table for someone who professes to be a disciple of Christ…or even a decent human being? These types of tactics are beneath you, Scott Gordon. You claim that I “have long believed that there is no God” – and recently used a quote from a Mormon Expressions podcast interview as your evidence. In that interview I certainly expressed doubt about God — but that interview represented a snapshot in time, and a true low point in my life in many ways. That said — and as you well know — people’s faith journeys can be complex, and faith can wax and wane over a person’s lifetime. This is a fact which you conveniently ignore when trying to smear me publicly. So….to demonstrate your “FAIR”ness….can you please take the time to gather together all of the instances where I publicly refer to myself as a believer? I know for a fact that there are at least dozens, if not more, in the public domain. Again….I know that you and your associates claim to be “fair” and balanced in your work…and I know that you have hundreds who can help you do this research….so since I feel misrepresented by you, and somewhat publicly maligned/smeared in a sneering way, can you please do me this favor? I would really appreciate it. Can you please confirm whether or not you will be editing your video to remove the public misrepresentations you have made, and ceasing to malign/smear me in public again in this fashion? Can you please share with us the most recent financial statements from FAIRMORMON? I am not able to find them online. Afternote: In 5 minutes of searching I was able to find several of my public statements about my belief in God. “Asterisk #1: God. Throughout my Mormon adulthood, I have discovered that the Judeo- Christian/Mormon God that was taught to me in seminary–the God that requested Isaac’s sacrifice of Abraham as a test, and cursed Job for sport; the God that would send his Son to die, instead of facing the suffering Himself; the God that sent an angel with a flaming sword to Joseph; the God that blamed the members for the failures of Zion’s camp; the God whose divinely-led church still finds a way to either oppose or remain behind the times on any significant civil rights or social justice movement; the God who, instead, directs His church to build a multi-billion dollar commercial shopping mall over channeling the widow’s mite to the poor. I struggle to believe in this type of God. Source #2: “John Dehlin: Yeah, regarding God? Ummm, I hope, I hope there is a God. I, I want there to be an afterlife. I’ve felt power and influence in my life before that has motivated me, and I consider myself a believer in God. But this does reflect doubts that I’ve had in my life and that’s why I think it’s a little bit taken out of context because if you… I’m not asking you to respond. Do you mind if I just share? Because some of these are kind of accusations. 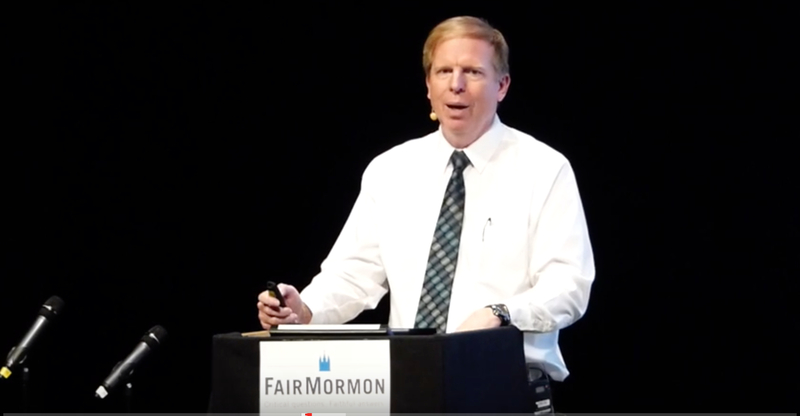 Scott Gordon and FAIRMORMON literally gave NO effort to be fair or even-handed with his comments. I don’t know what else to conclude than that he has the desire to malign, distort, manipulate, deceive, etc.